Cappuccino vs Espresso: What's on Top of that Coffee Shot? 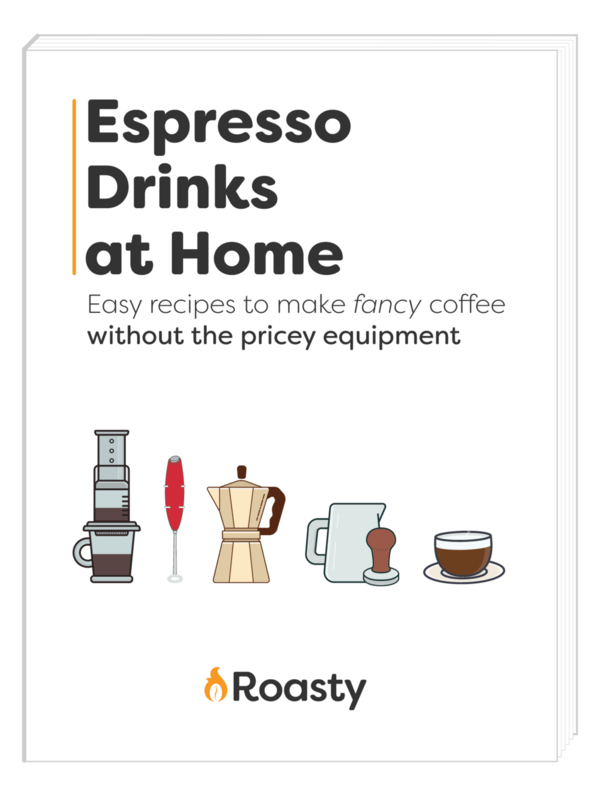 Even for a coffee aficionado, it can sometimes be hard to understand what really separates different espresso drinks. Especially when those drinks both have a very strong, present taste and mouthfeel. That’s the case when you compare espresso and cappuccino. But don’t worry, we aren’t going to let you embarrass yourself in front of your hipster friends. Read on for the breakdown on what’s what and how to know if the drink you have is worth appreciating. Espresso is made using high amounts of pressure to force hot water through a “puck” of densely packed, very fine grounds. This process produces takes between 25 and 30 seconds and produces about a shot’s worth of very strong java. There are some variations on this basic process involving tampering with the pull time and drink volume that you can read about here. But we’re here to talk about the difference between a basic espresso shot and a cappuccino. And the main difference is that the espresso shot stops here (save for maybe a little sugar), and is held to certain standards that we’l discuss later. Whereas, with a cappuccino you still have a few more steps involving steamed and frothed milk. Espresso, along with many espresso-based drinks, originated in Italy in the early 1900s. An entire social phenomenon developed around them, to the point where espresso bars still exist in Italy today. 50 years later, the beverage and its variants spread to other parts of the world. Today, making the perfect espresso is half art, half science. It’s the drink at the center of a lot of seemingly pretentious coffee discussions, with good reason. If done right, a good espresso will give you a wonderfully distinct, strong flavor that’s hard to beat. Espresso is typically thicker and much stronger than regular American coffee. 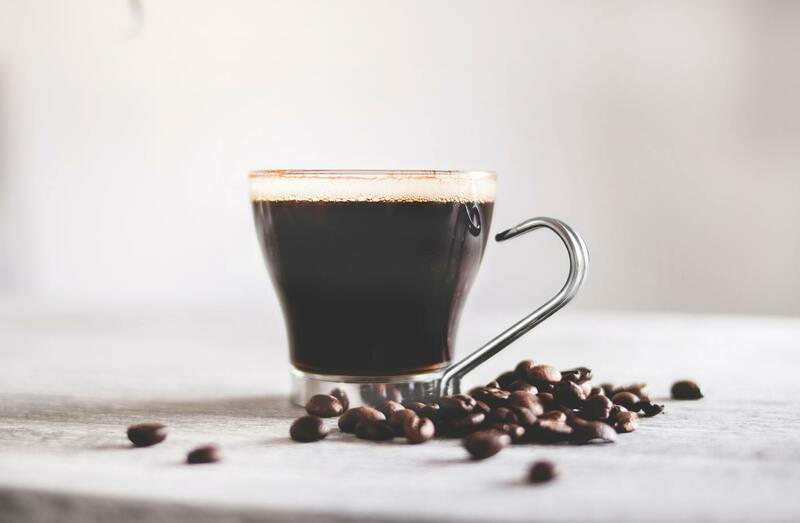 It has more caffeine per unit but due to the small serving size you are going to get a comparable kick from a shot of espresso as you would from one cup of black coffee. Often fondly referred to as the holy grail of coffee foam, this potentially overhyped bubbly little layer is commonly considered the biggest indicator of top-notch espresso. The crema is a thin, delicate layer of brown foam that is the natural result of the extraction process. It may have a slightly acidic flavor because the coffee grounds degas under the pressure releasing carbon dioxide, which the ions in the hot water react with. These processes result in an increased pH and ultimately bubbles. Additionally, certain oils from the grounds mix with the hot water, which contributes to the crema formation. Once the shot has been pulled, the crema can last for up to 40 minutes before dissolving into your cup. But we recommend drinking it before then. The appreciation of crema is a relatively new coffee practice. The thin layer of foam wasn’t possible until higher pressure, lever operated machines were produced in the late 1940’s. Crema was then marketed as an indicator of richer, higher-quality espresso. Overall the crema itself will not impact the taste of espresso very much, if at all. But it does show you how much fresh the beans that were used in your coffee were, which can be a good indicator of the quality of establishment you’re in. Cappuccinos also originated in Italy and were some of the first espresso based drinks to become popular in English-speaking regions. It really got its start during the second World War where it evolved into the drink we recognize today. Cappuccinos are typically served in 6 oz glass or ceramic cups, as opposed to the 1-1.5 oz shot glasses that espresso comes in. They include the base 1-2 shots of espresso along with steamed milk and frothed milk (milk foam). So a cappuccino INCLUDES an espresso. However, because milk is added and the top layer disrupted, crema does not matter when making these drinks. What does matter is the ratio of espresso to steamed milk to foam. It should be 1:1:1. When making a cappuccino, a talented barista will give you 1/3 espresso, topped with (not mixed with) 1/3 steamed milk and 1/3 airy milk foam (not super creamy). Because this is such a structured drink, you can often tell by the weight and feel of the cup in your hand whether or not you have received a quality cappuccino. Often times, cappuccinos in high-volume, lower-quality shops will have a more latte-esque. To circumvent this problem, you can ask for a dry cappuccino or one one the dry side. This will get the barista to prepare the drink without or with less steamed milk respectively, resulting in a more balanced, classic cappuccino feel. So as you may have guessed, the main difference in these drinks is what sits on top of the espresso itself. In a plain espresso shot, you’ll have a nice tanish brown layer of bubbly crema. Whereas with a cappuccino you’ll have steamed milk and foam. Speaking of milk, can you add it to espresso? NO. Well, you could try, but it would no longer be an espresso- just another espresso based drink. However, it is socially acceptable to add sugar to an espresso if the regular taste is a little too much for you. Don’t add too much though because the point of an espresso shot (unlike some other shots) is to taste the espresso. On the other hand, you can’t make a cappuccino without steamed milk. Just be careful not to add too much because it will weaken the espresso underneath and give you latte vibes. Whichever beverage you choose, you are going to get a cup of java where the classic “coffee” flavor is very present and strong. With an espresso, that will be accompanied by a crema and maybe a bit of sugar. With a cappuccino, that flavor will be balanced by steamed milk and airy foam. Nespresso vs. De’Longhi – What’s The Difference? Nespressso and De'Longhi are two names in the coffee world you know, but a Nespresso machine isn't necessarily a De'Longhi, and a De'Longhi doesn't necessarily work with Nespresso pods. Got it? We'll explain.